The sights and smells of fall in New England can’t be beat. Think pumpkin spice, cinnamon, and gingerbread. 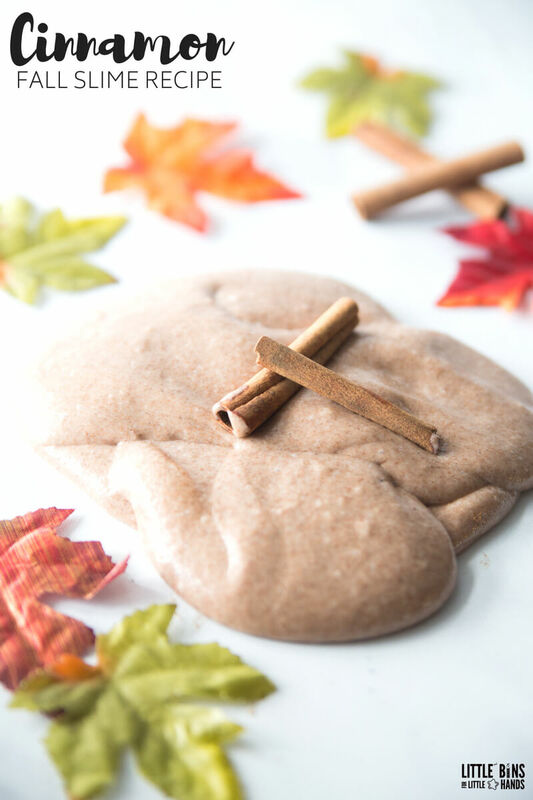 Our super easy cinnamon scented slime is perfect for fall slime making activities with kids. 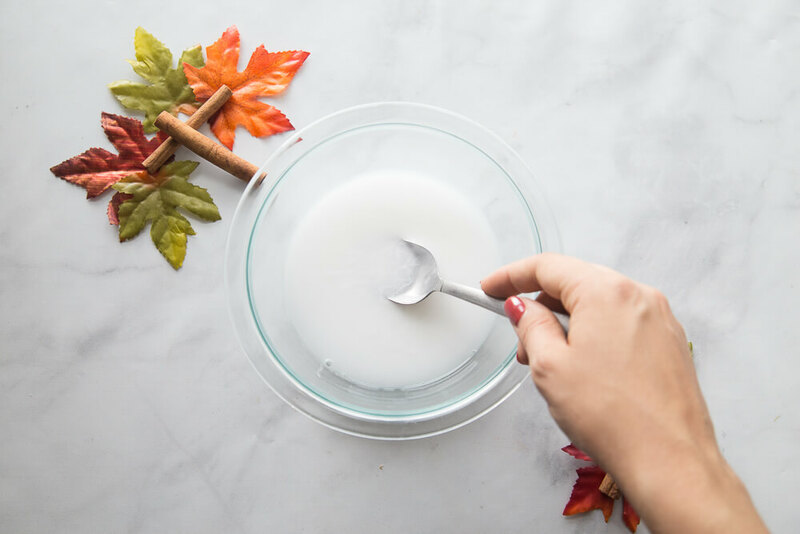 Whatever your favorite scent, we will show you how to make slime like a pro using our favorite basic slime recipes, best slime ingredients, and easy tips and tricks to create amazing slime every time. 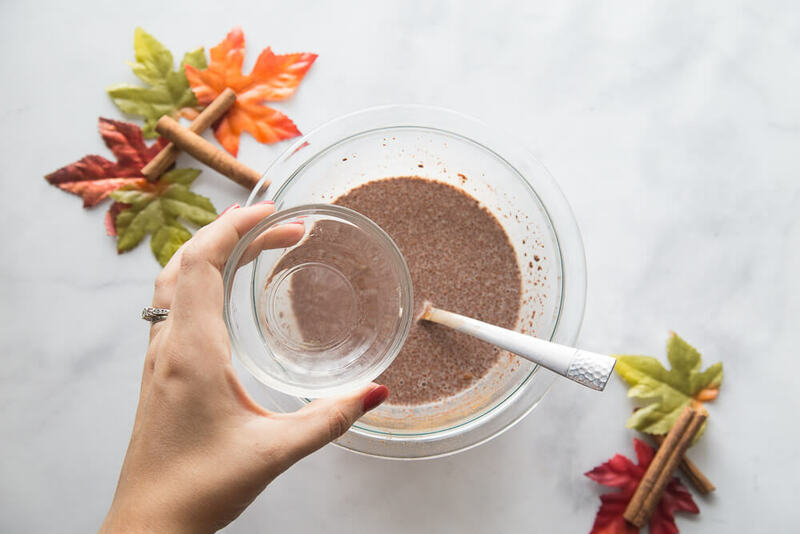 Kick off the fall baking season with a new kind of recipe that will still get the kids in the kitchen! Science is full of cool ways to create including homemade fall theme slime ideas. Apples , leaves, and pumpkins and now cinnamon! 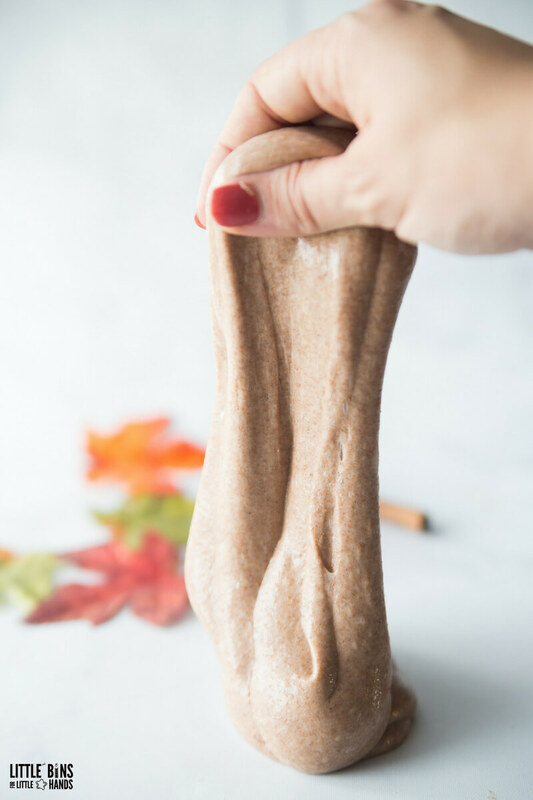 This AMAZING smelling slime recipe with real cinnamon is perfect for the fall season! Slime making is even more fun when you add in creative seasonal themes, and I know kids love the novelty of theme activities. Our Elmers Glue Cinnamon Scented Slime Recipe is yet another AMAZING slime recipe we can show you how to make. make sure to print off our Fall Slime Making Challenge to give to the kiddos this season. No one wants to be sad and frustrated when they go to learn how to make slime…. 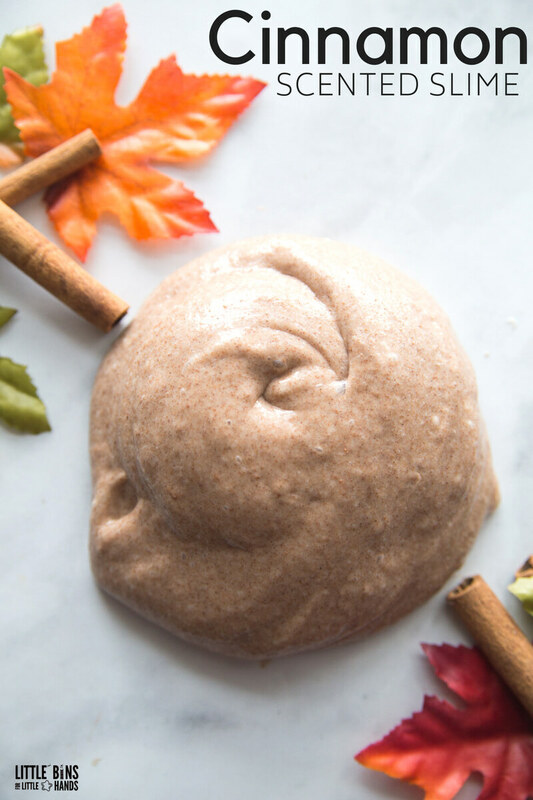 We made this scented cinnamon slime recipe with white glue and real cinnamon spice. However, Elmers clear glue is super easy to use and also works well for this recipe but your color will be slightly different! You can always add glitter too! 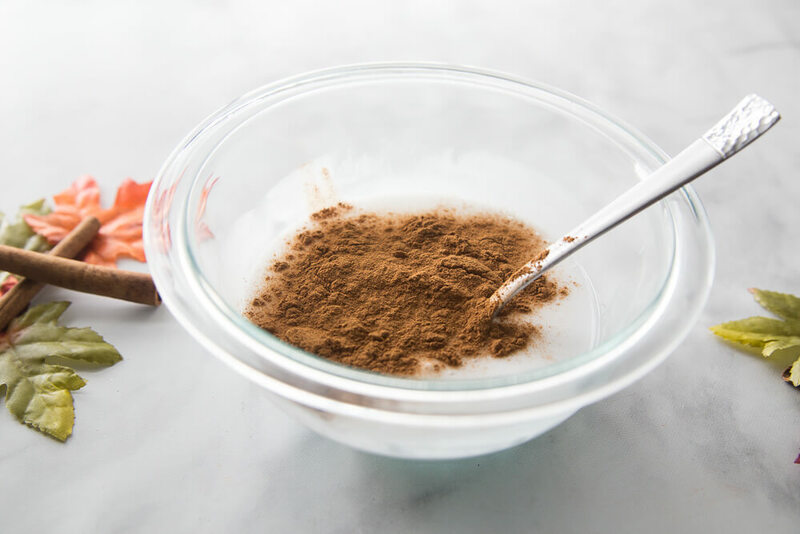 We have the best resources to look through before, during, and after making your cinnamon slime! Make sure to go back and read the slime science above too! 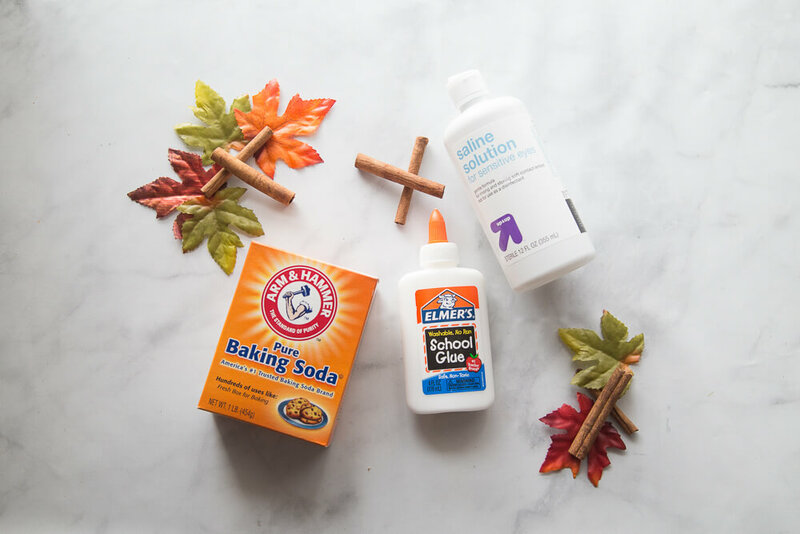 As I mentioned above, you can use any of our basic slime recipes for this fall inspired cinnamon scented slime, but we like our basic saline solution slime recipe with the Elmers white washable school glue. I will link the products we used here with Amazon affiliate links below. CLICK HERE >>>Look at all our fall Slime Recipes and find our fall slime challenge printable. 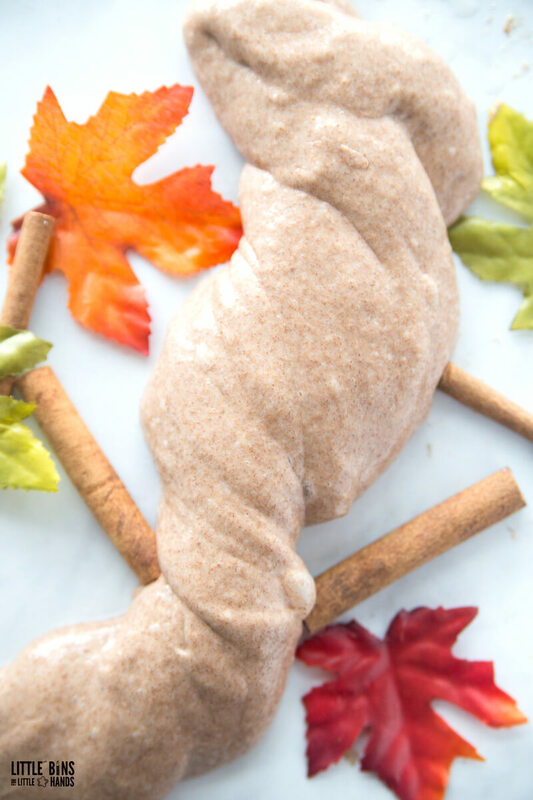 CINNAMON SCENTED SLIME IS JUST ONE OF OUR MANY FALL SLIMES!